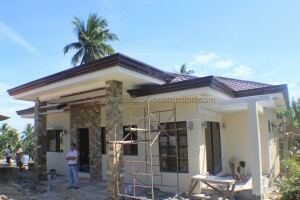 As per the updates among our on-going projects in different areas here in Cagayan de Oro, this one is, which we can say, a tedious, challenging, yet still manageable one for us to finish with its cost. Its area which is secluded and it not having enough water facility for us to run the construction smoothly, it really made our operation a bit affected. 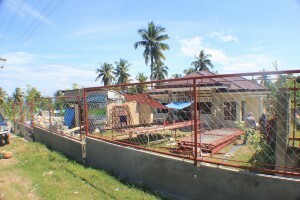 But what important is that, even with these lapses or short comings upon having this project, just for the vision we have in the office to serve our clients and to help them achieve their dream house for whatever reason they may have, we still could cater the somewhat impossible ways and service that they need most. This is scheduled this week for its turn-over to be. As targeted time by the owner, they will be coming over from abroad this first week of December. Thus, we can then, turn-over this unit to them. This is in response as well with the Christmas celebration we have for this season with Mosqueda’s family. We are going to finish this unit with all the best that we can, even with those encumbrances came along our way of having this unit be done. Those are just spices of our architectural works. Without those shared ideas and exchanged of emotion between the owner and our firm, just to make this project be continually constructed to its best, is just a reflexion of this season. We take those as constructive moments and shared boons from above. And because we have the mercies from above and intellect and the means to do things possible just to make your longed house to be in the future, we know, we believe, that no matter how it is seems to be impossible, and of how you perceive things to us, even it is that negatively viewed, we are still and humble enough to treat you and feel your concern with full humility and sincerity; that is because we know that what you want for your family, is also the want we have for your family to gain! Which is a well-oriented house structure with the home-feeling with it’s made up, and of course, with this season of giving, sharing, and forgiving, we will be in one cause and thought with these blessings we individually has. See you soon and may our Christmas to be that meaningful with this new house!